Welcome to your Journey to find your Goddess within! Empowering books for women fill the shelves of the self-help sections of every book store in America. What sets this book apart from all the others is the fresh and personal healing solutions that I share within each chapter. I actually show you what I did, why and what worked and didn’t work for me. My personal stories and examples act as a guide throughout the book so you can insert your own personal stories while reading. At the end of the chapters there are opportunities to work through many personal processes with the questions of reflection. Participation is welcomed. Warning: Authenticity, Accountability, and Responsibility are three underlying tones throughout the entire book to keep the book real and help you stay on task! If you have an aversion to truth, ownership, forgiveness and being honest with yourself… then you may want to pick another book. If not, then get your own copy and begin this transformational process today! I’ve included some maps of opportunity throughout your journey to discover your Goddess; a Three Step Process of Self-forgiveness, How to do an Internal Spring Cleaning, 5 ways to get your power back and keep it, How to change your Results by changing the way you think with five easy steps, A quiz to identify the dreaded “Miss Congeniality Syndrome”, A guide to keep the past in the past with a marvelous concept called Yesterday’s Breakfast, The Goddess Zone: 5 ways to discover how to love yourself again. These were all parts of my healing journey and can be helpful to any woman by simply inserting your issues and events into the processes to get your personal results. This book is my personal journey of healing and the discovery of my inner place of power I call my Goddess. It’s also an opportunity for you as a woman who wants a better life to discover your power- your Goddess and to examine your choices and level of authenticity in the world on your own personal journey of transformation. Your journey will look similar but totally different, because we are all unique and wonderful women. To begin your voyage, it is necessary to be in the state of mind to be open to possibility, ready for high levels of honesty and come with the burning desire to experience joy, love your life, and own your Goddess within! 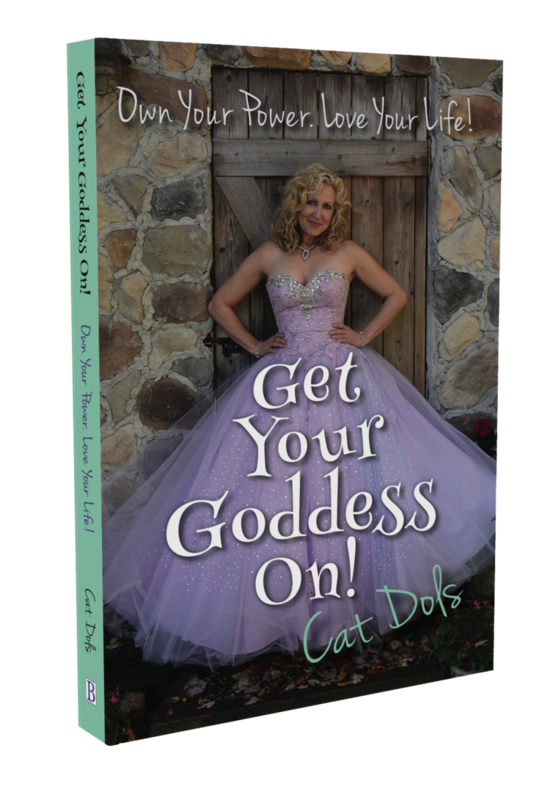 Empowerment is just the beginning of Get Your Goddess On… own your power • love your life. What you do with your own experiences combined with new knowledge and fresh ways of discovering solutions you may not have thought of before, could possibly open up a world of new opportunities for you on your journey. Follow me on social media to follow my journey, receive inspiration from my book, and get updates on events.